Phil Vickery is one of Britain’s most exciting and highly regarded cooks. Winner of the British Meat Chef of the Year Award in 1998, his other professional accolades include earning a Michelin Star for four successive years, winning the Egon Ronay Dessert of the Year category in 1995, and having his restaurant named Times Restaurant of the Year in 1994. During his time as a director and head chef at the Castle Hotel in Taunton, the restaurant was ranked as one of Britain’s top twenty restaurants in the AA Restaurant Guide, with four Rosettes. Phil Vickery was born in Folkestone, Kent, trained in the Lake District, then went on to Gravetye Manor in West Sussex, followed by a short stint at Ian McAndrew’s Restaurant 74 in Canterbury, and nine years at the Castle Hotel in Taunton. Famed in particular for his ‘supreme’ puddings, Phil Vickery is instantly recognisable as the This Morning chef, and from his many appearances on Ready, Steady, Cook and Masterchef, as well as Phil Vickery’s Pudding Club – his own TV series for Anglia. Phil Vickery is a passionate advocate of unpretentious, honest and robust food, with a keen interest in regional ingredients and a mission to demystify cooking and inspire everyone to share his love of good food. 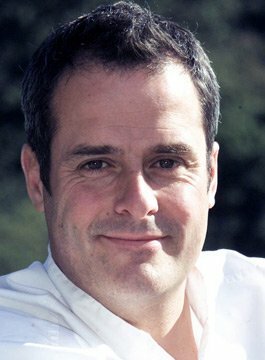 Book Phil to delivery a cookery demonstration at your next food related event or exhibition.